Chia pudding is a convenient way to sneak some fiber and protein into your breakfast. 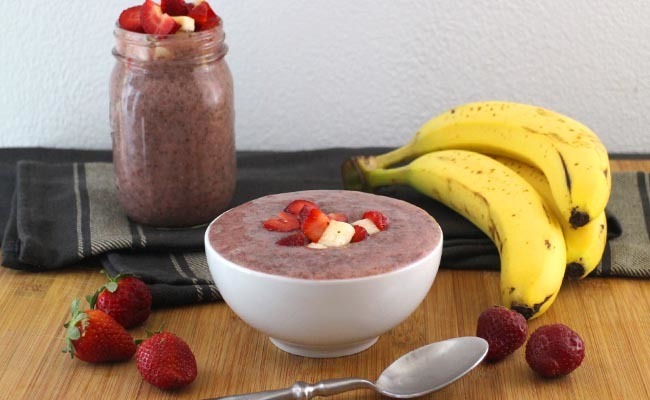 Mix up this Strawberry Banana Chia Pudding tonight, and it will be ready for breakfast in the morning. The base for this creamy chia pudding is an adapted version of Jordyn Cormier’s Banana Milk with plenty of fresh strawberries added to the mix. It’s a sweet breakfast made with only whole fruit and a hearty helping of protein-packed chia seeds to balance it out. This fruit-forward chia vegan breakfast recipe gets plenty of protein from a hearty helping of chia seeds. 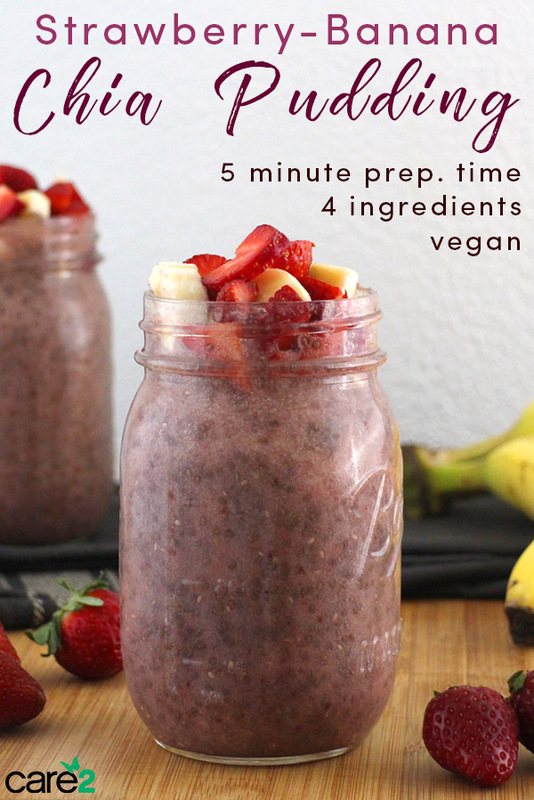 In your blender, combine the banana, water, and 1 1/2 cups of the strawberries. Puree until smooth, and divide the mixture between two mason jars. Stir 3 tablespoons of chia seeds into each jar, and refrigerate overnight. If you can, shake the container a few times. In the morning, divide the chia pudding between two bowls. Chop up the remaining 1/2 cup of strawberries, and use them to top both bowls. You can top with more banana, too, if you like. Maybe substitute peanuts for chia seeds and add chocolate for the pudding recipe. I would try it without the strawberries.